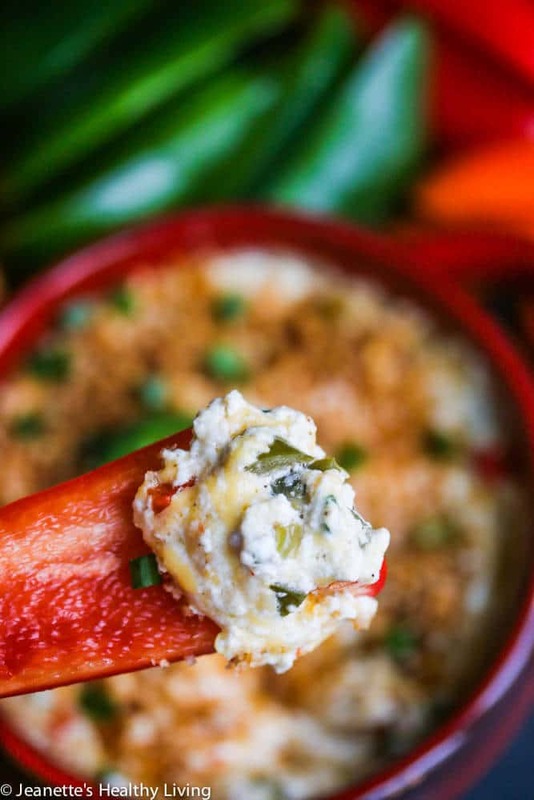 This Light Jalapeño Popper Dip is a healthy addition to any Game Day spread. 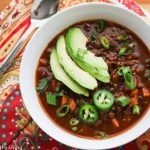 Check out the recipe for the secret ingredient. Sponsored by Peapod. I remember the first time I bit into a jalapeño popper – it was so decadently cheesy, crusted with bread crumbs and just a bit spicy. Deep fried and stuffed with cheese, I can only imagine how many calories were in just one of those jalapeño poppers. 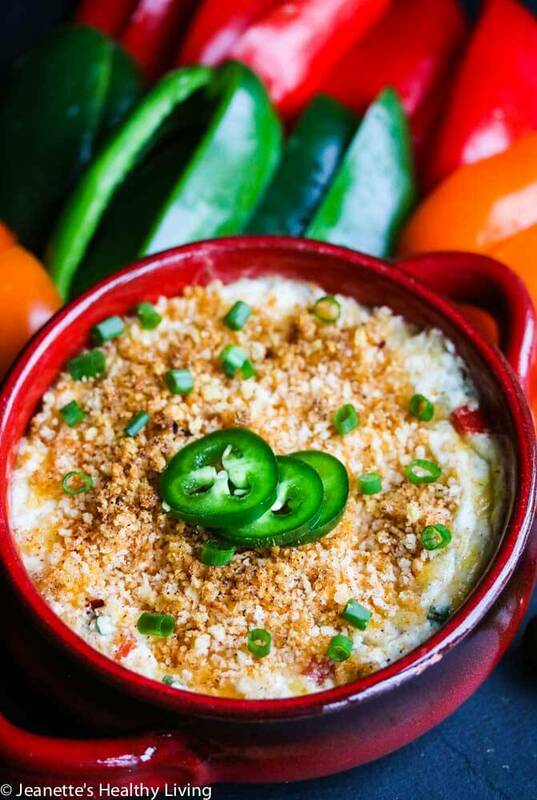 Super Bowl is just around the corner, so when Peapod asked me to create a recipe for them with a Super Bowl theme, I came up with this Light Jalapeño Popper Dip recipe, with all the flavors of a fried jalapeno popper, but lightened up, and in dip form. 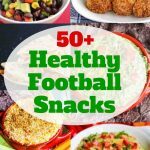 I love recreating healthier versions of favorite football snacks and have made lighter versions over the years, including a Skinny Queso Cheese Guacamole Dip, Skinny Buffalo Chicken Dip, Skinny Philly Cheesesteak Dip, and Skinny Spinach Artichoke Dip. 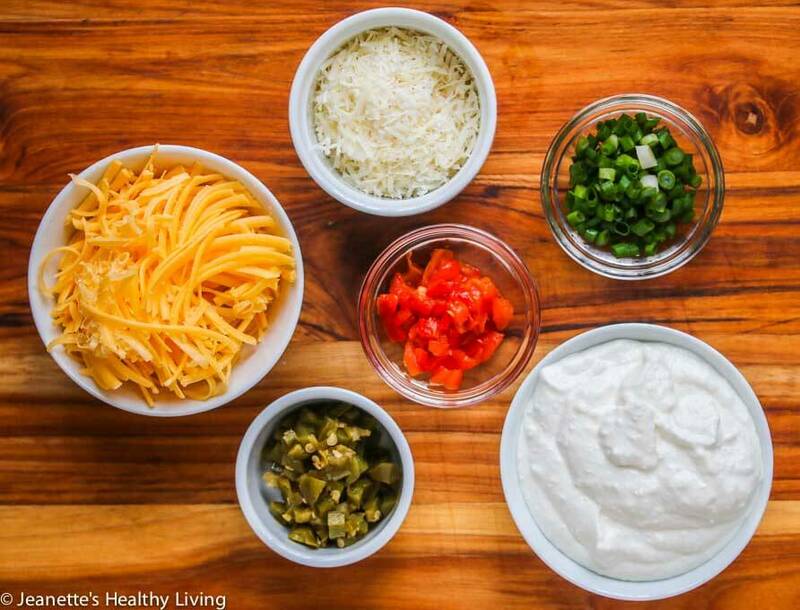 One of my favorite skinny tricks is to substitute pureed low-fat cottage cheese for cream cheese in dips. It might sound a little strange, but trust me, it works. 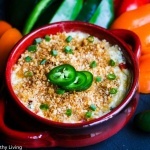 Flecks of pickled jalapeño pepper and roasted red bell pepper are scattered throughout this cheesy dip, which uses sharp cheddar cheese and Parmesan cheese for best flavor. A crunchy breadcrumb topping mimics the crusted exterior of a fried stuffed jalapeño popper. 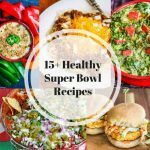 Don’t forget to check out Peapod.com for all your Super Bowl needs. 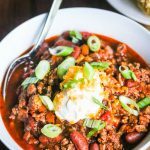 Their online grocery delivery service is a huge time saver – in addition to your grocery needs, you can order party trays and paper goods for the big game. 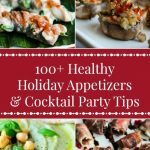 Here are some more Game Day Appetizers I found on From The Pod’s recipe index. 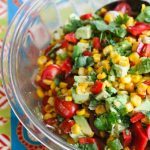 In a large bowl, stir together cottage cheese, cheddar cheese, Parmesan cheese, jalapeño peppers, roasted red bell peppers and scallions. Season with garlic powder, onion powder, salt and pepper. Transfer to a baking dish. In a small bowl, mix together panko crumbs, garlic powder, onion powder, paprika, salt, pepper and olive oil. Sprinkle on top of dip. Bake for 20 minutes until bubbly and hot. 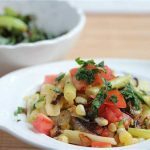 Serve with assorted bell pepper strips or tortilla chips. 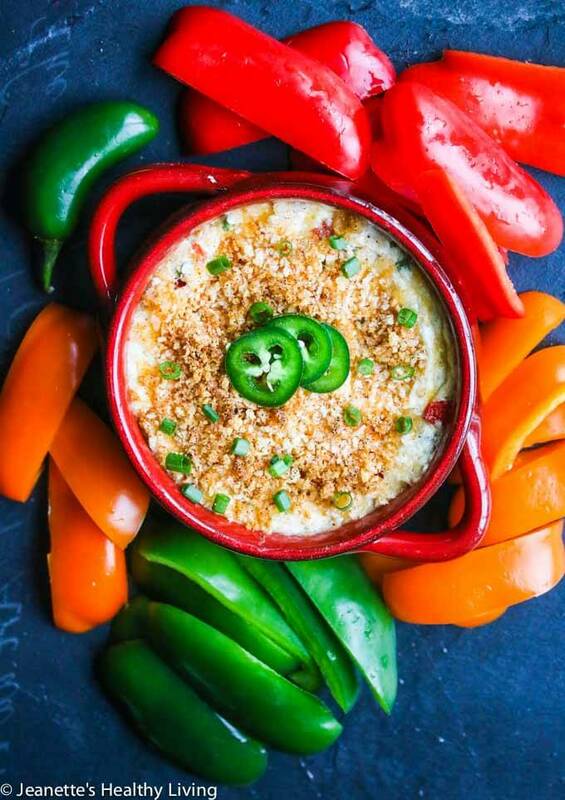 Our friends just convinced us to host a Super Bowl party this year, and this dip looks just perfect! Super Bowl parties are always so much fun! 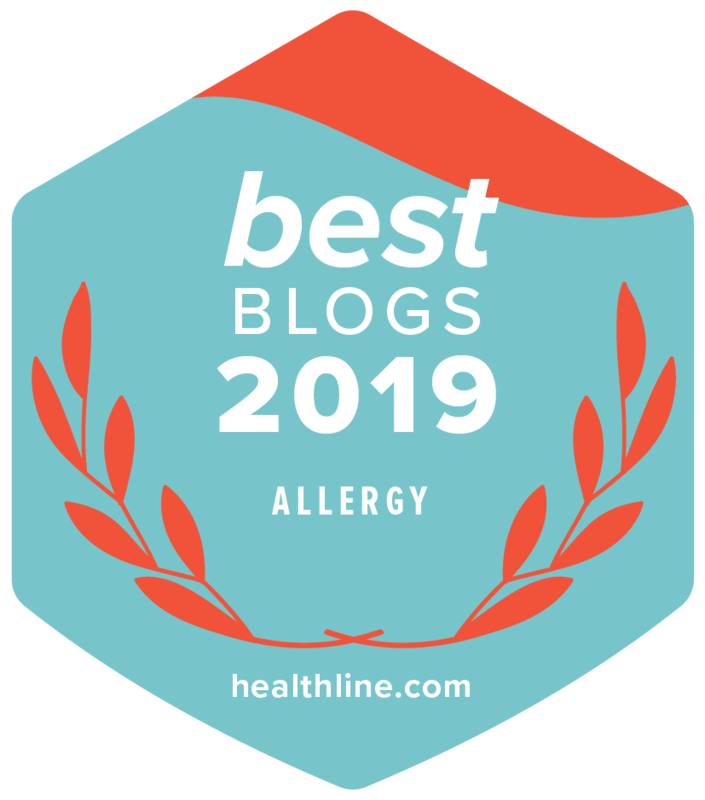 Thanks Min – my son loves this dip – hope your hubby does too! Thanks Anne! 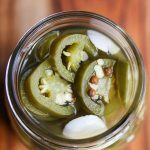 This is so easy to make and satisfies any cravings for a jalapeno popper! 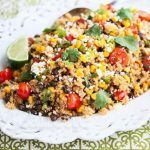 I love that you made a jalapeno popper dip!!! Wow, what a great idea! Thanks Alice! 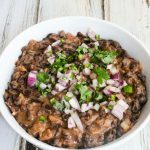 This is so easy to make – enjoy! Hi Deneen, you’ll need a baking dish that can hold about 5 cups – a shallow pie dish should be fine. I made this for game day yesterday. What a treat! They were delicious and had a nice kick too! mentioned above, would probably be best. Unfortunately I didn’t read that comment until after I made it. Thank you for the lighter version of the jalapeno popper!